Established in 1974, KLEMSAN has become a global brand with its 7 offices in Turkey and 9 offices worldwide and its extensive dealer network by the investments made. They are a global company that provides standard solutions to the problems in the industry, invest primarily on R&D and innovation, and create value for our customers and employees. Klemsan specializes in the the design and manufacturing of Electrotechnical, Electronics and Wire & Cable Management products. 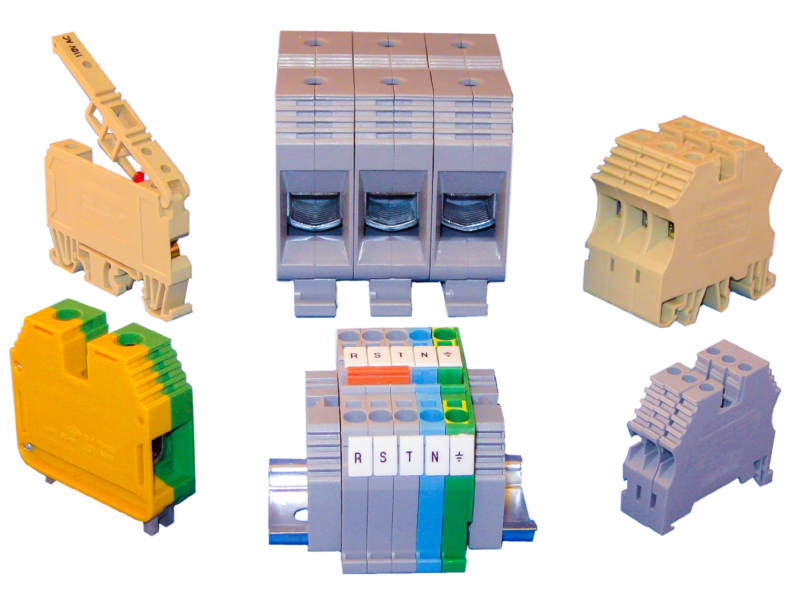 Klemsan manufactures a variety of terminals to build out your custom terminal block. Spring clamp and screw clamp terminals are available in a range of varieties from stackable to plug-in, these can be combined for your specific connection needs.